The crop (ingluvies) is a thin-walled diverticulum of the ventral wall of the esophagus, located just before the esophagus enters the thorax and in which ingested food can be stored and softened. The size and shape is very variable among birds. In members of the order of the Galliformes and Psittaciformes for example, the crop consists of a singular pouch, whereas in Columbiformes it is a double diverticulum (diverticulum dextrum et sinistrum ingluviei). In male and female pigeons, the crop produces crop milk to feed newly hatched offspring. Other birds, such as owls, don't have a crop. The wall of the crop has the same composition as the wall of the esophagus but it has less glands (ducks and pigeons) or no glands at all. 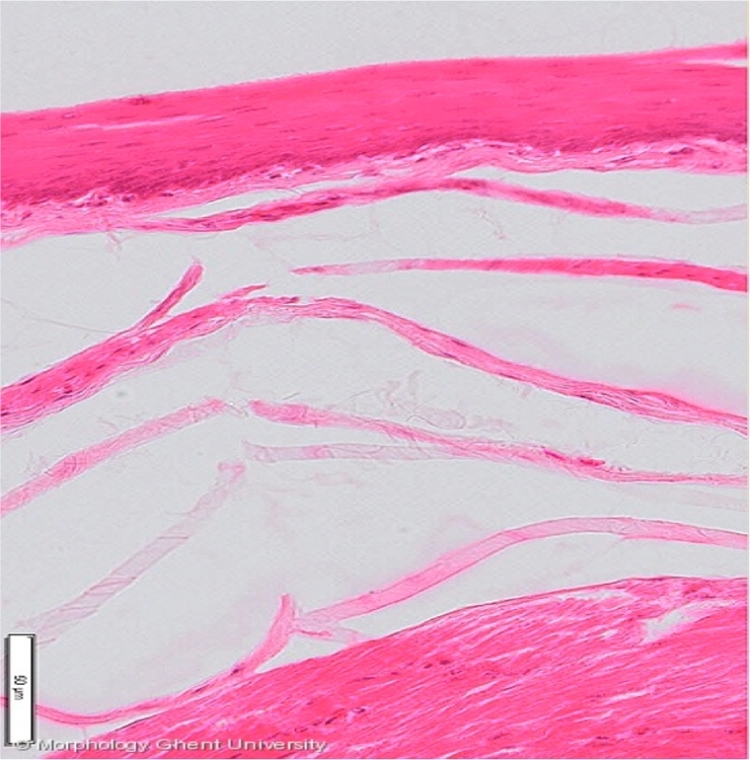 The lining epithelium is a stratified squamous epithelium, slightly cornified in chickens, strongly cornified in pigeons.